Your tendency is to be cool and inert, Kaphas. 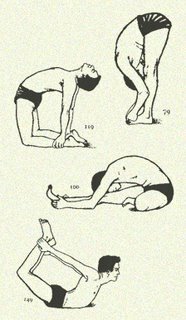 Yoga poses that best suit you will fire you up and make you move! These also help greatly with congestion, metabolism, and open your throat, chest and lungs. All postures should be performed vigorously while doing, deep, quiet breathing through the nose.